Depend on MetalMizer for the highest quality metal cutting bandsaw blades on the market. Top quality bi-metal raw materials, precise manufacturing processes, and rigid quality control result in high performance bi-metal blades designed for the modern manufacturing plant. 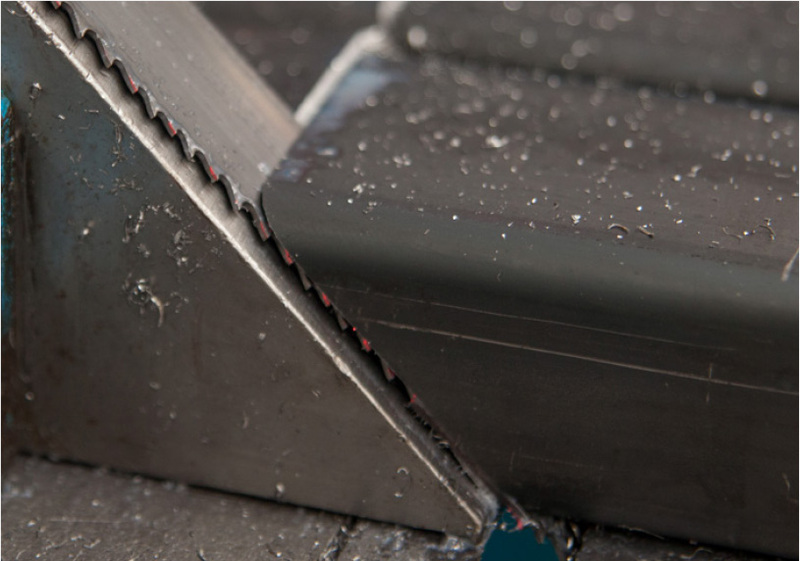 Cuts short chipping materials and small diameter work pieces with a smooth burr-free cut. Positive rake angle and raker set for easy tooth penetration and chip formation on large cross sections. Variable tooth with a positive rake angle cuts aggressively in tough materials resulting in a clean, smooth surface. The affordable MetalMizer Bandsaws are built in the U.S.A from top quality raw materials to meet your metal cutting needs.